For Aras founder and chief executive Peter Schroer, the rising tide of investment proves that the nearly two decades of risks he’s taken on the company are paying off. 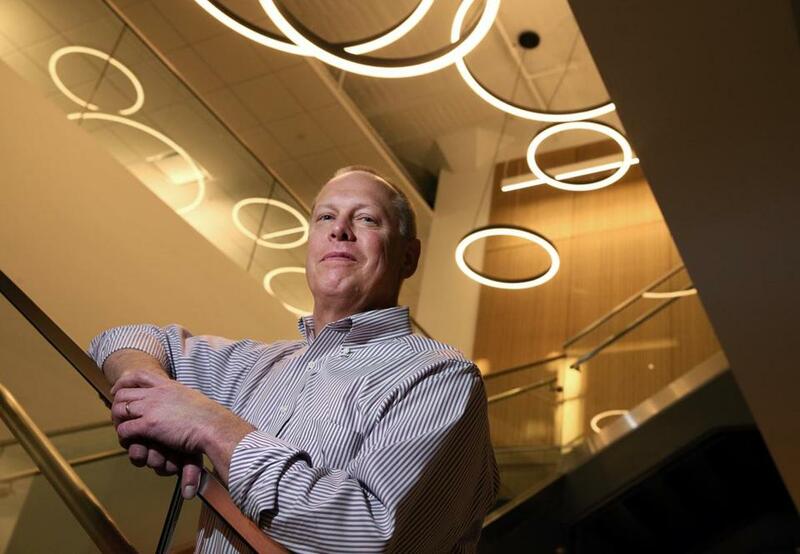 One of the Boston area’s fastest-growing tech startups has been in business for 18 years. Aras, which makes software to help businesses manage the development of complex products, is an outlier in other ways, too. 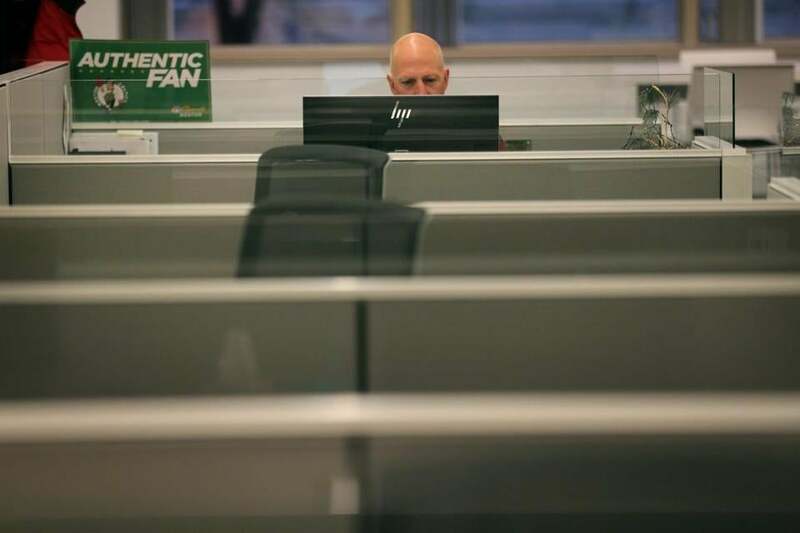 Its headquarters lies far from the glimmering new construction of the go-go technology scene in Boston and Cambridge, in a quiet Andover office park off of Interstate 495. But Aras is expanding at a pace that many better-known tech startups would envy. It has raised more than $110 million in just over a year, which it says will boost its global employment to nearly 700 employees. It has 120 workers in Andover and plans to grow to 250. For founder and chief executive Peter Schroer, 57, the rising tide of investment proves that the nearly two decades of risks he has taken on the company are paying off. “You’re learning how to build a really lean company. You don’t waste time with politics and organizational crap. People wear six hats, and you get the job done,” he said. In an era when many companies start off with giant infusions of venture capital to help them turn an idea into profit, Aras is a lesson in an underappreciated truth of tech entrepreneurship: There is more than one way to build a successful business. Dave Murray, community development manager at Aras, worked at his desk in the company’s offices in Andover. Venture capital often comes with expectations that a company will begin to see substantial growth within a few years. Kaiser was among an early group of venture capitalists who invested in Aras about 15 years ago — the group also included heavy hitters Matrix Partners and Oak Investment Partners — only to have the company buy out most of their interest as Schroer and his colleagues sought more freedom to set their course. Aras specializes in “product lifecycle management” software, which companies use to coordinate huge projects that might take years to complete, often involving thousands of workers at multiple sites. In products such as cars and airplanes, small changes can lead to catastrophic failures. Software made by Aras and its competitors helps manufacturers keep track of who is making alterations, when, and why. Aras is trying to help clients prevent such mistakes, and when they do happen, understand how to stop them from recurring. Aras, which counts General Motors, Microsoft, and Airbus among its clients, says its revenue has been growing at an annual rate of 50 to 60 percent over the past five years. Schroer said the company is on pace to have $100 million in annual revenue from its software within the next few years, a figure that would put it in position for an initial public offering of stock. The company’s latest investment of $70 million was led by Goldman Sachs Private Capital and follows a $40 million investment round last September. But the company’s trajectory wasn’t always so certain. Schroer founded the company with his wife, Karen Schroer, in 2000, just before the dot-com collapse. The company grew slowly, funding itself largely through its own sales before it attracted a few rounds of venture funding, starting in 2003. Aras had a roster of mid-size clients at that point, but Schroer said the company needed to distinguish itself if it was going to succeed in a crowded market. So he decided on a new business model, essentially giving its open-source software away for free and charging money to support and adapt it to clients’ specific needs. That decision was going to mean slower growth, Schroer said. He said his venture investors were not willing to wait around, so he made the painful decision to buy them out. (Kaiser says Greylock is willing to be patient with companies that have good plans.) The company, which had grown to about 50 employees, shed all but about a dozen. “I think Peter knew that he wasn’t getting traction trying to compete in the existing playing field, and in order to survive, he needed to do something different,” said Tom Gill, a senior consultant with CIMdata, a firm focused on product lifecycle management. Gill, who at the time worked for an Aras client, the German conglomerate Freudenberg Group, remembers talking to Schroer about the shift in strategy while sitting on a plane on the tarmac at an Italian airport. He said the idea seemed a reasonable, if dramatic, bid to set Aras apart from its competitors. “That gave them a differentiator,” he said. It may not be a household term, he said, but the need for such products is becoming clearer as product design becomes increasingly complex — taking into account not just mechanical parts, but software and electronics. And it’s an industry in which Boston’s tech sector has excelled for some time. Other companies with major presences in the area include PTC and Dassault Systèmes. But unlike PTC, which is preparing a move to the Seaport District, Schroer said Aras is happy with its throwback image. The company just moved to a bigger space at the office complex where it has been located for years: Brickstone Square, a converted historic industrial site not far from the center of Andover. He said the company is seeking a more experienced workforce — one that already lives in the suburbs.